I love lists! I make no secret of that fact. I find them oddly soothing and a little comforting. I think it’s because lists allow us to take all those things that are floating around in our head and put them into som semblance of order. Or maybe it’s because getting those tasks, ideas, and thoughts out of our head and onto paper frees up thinking space. Whatever the reason, I think lists are awesome. It’s also one of the reasons I’m sharing these Master To-Do List printables today. 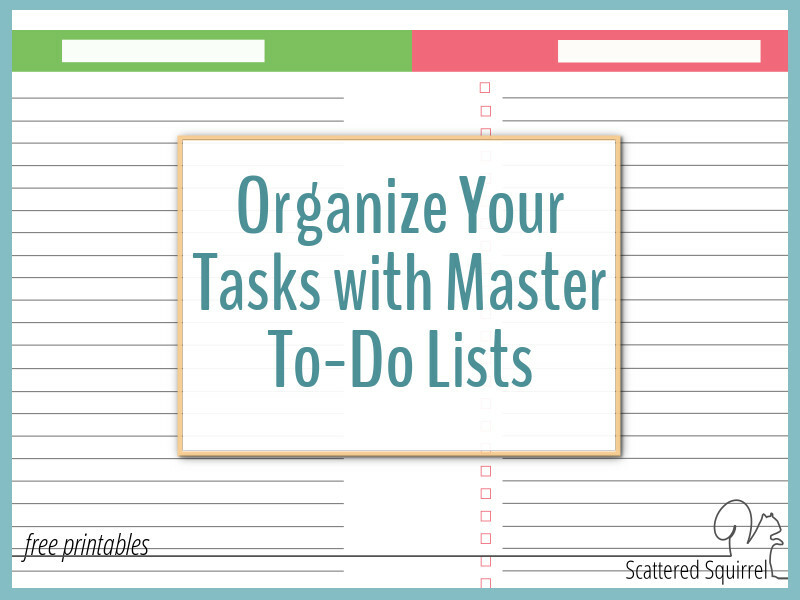 During the From Scattered to Sane series I dedicated a whole post to the master to do list and talked about how I use one to help tame my scattered brain. It’s sounds like such a simple thing – write down everything floating around in your head – and it is a simple thing. It’s an easy task to tackle, and all you really need is some paper and something to write with. 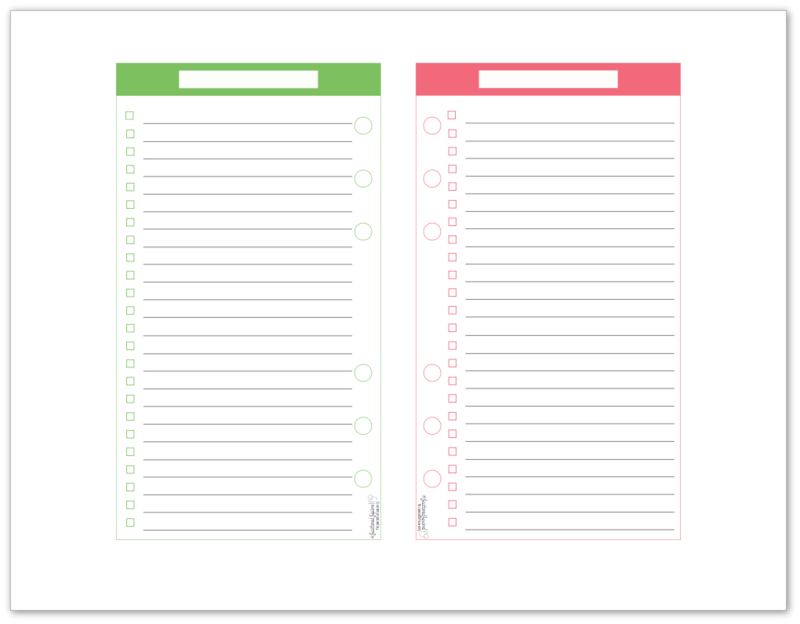 I like to take my main list and divide the items on it into categories which is where my master to-do list printables come in. They help make sure I’m not forgetting things, but more importantly, they take that big long list and break it down into manageable tasks. 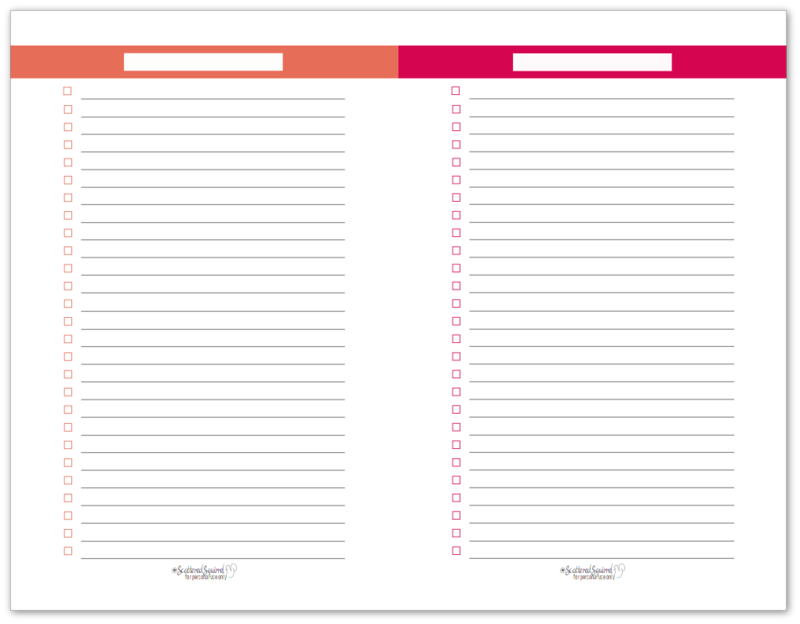 When I made the first master to-do list printables, I only made them full-size. Because they were part of the From Scattered to Sane series I wanted them to fit with the other printables. After a number of people started asking if I was going to make them in half-size I decided it was time to jump on in and get that done. Ready to check them out? I made a few changes to the layout. Instead of two lists per page, I opted for just one. Because of the page size, I opted to keep it like this so maximize the writing space. Just like their larger counterparts, I kept the title areas blank so you can use these to create lists for anything really. As with all our printables, to grab a copy for yourself, click the pic of the one or ones you’d like and a download window will open for you. I use a personal size planner cover for my wallet and I know that many people prefer to use personal size planners for most of their planning, so I thought it would be a good idea to offer these as an option for anyone who would like them. I’d love to hear what you think about the to-do list printables. Drop me a line in the comments below and tell me what you think. Previous Post: « 2017 Half-Size Monthly Calendar Printables are Finally Ready!!!! Really useful, as always, tanks a lot Alli! Thanks Caroline. I hope you like them. 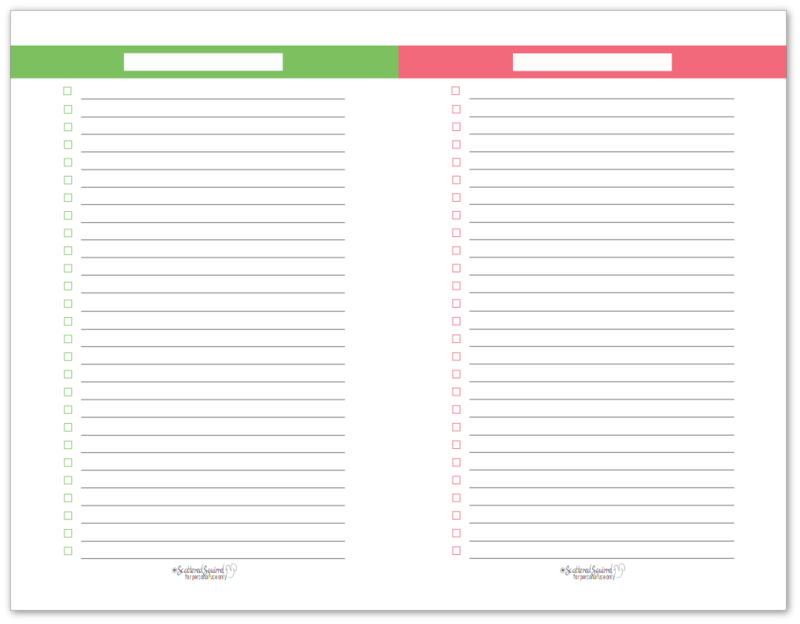 I will definitely be printing some of those personal sized list sheets! I’ve been reading GTD and have been trying to get that sort of system going, and man, so many lists! *So* many lists. But I also have to set up an on-the-go planner again, which means a personal size, which will also need more lists, ha. Oh, and I’ve definitely been using a ton of your printables for setting all of this up! I haven’t read GTD in a long time, I think I might need to give it another read. Lists can be a wonderful tool for staying organized. I’m happy to hear that you’ll be able to use these ones. This is perfect! This is exactly what I was looking for! I’m so excited! I’m printing out the half-sheet calendar and then printing these list on the back. Thank you. Oh, and I follow GTD too! It is life changing! I’m happy to hear that you like the printables Holly. I really need to go back and read GTD, I remember it being good, but not the specifics. I hope you find these helpful. You are AMAZING! I just stumbled across your blog and I am fascinated. 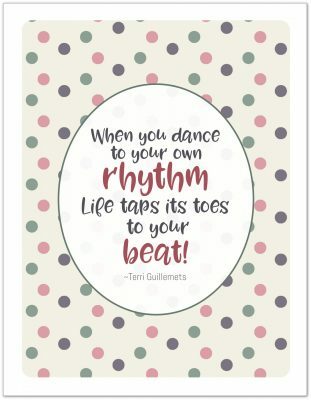 I hope to see more personal-sized printables in the future! Thanks for all you do <3. Thank you so much Vee. I’m working on more personal sized ones. They should be coming out before June.